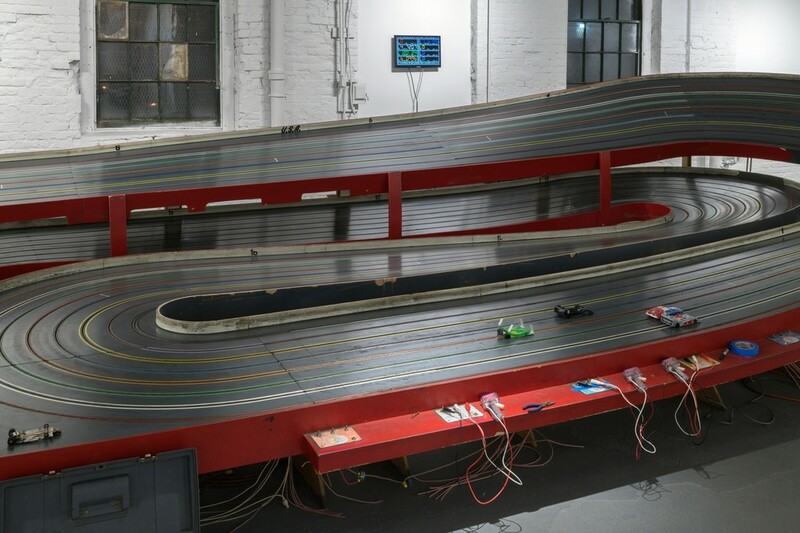 The slot car track installed at PROTO Gallery for NO FLEX RACE U. 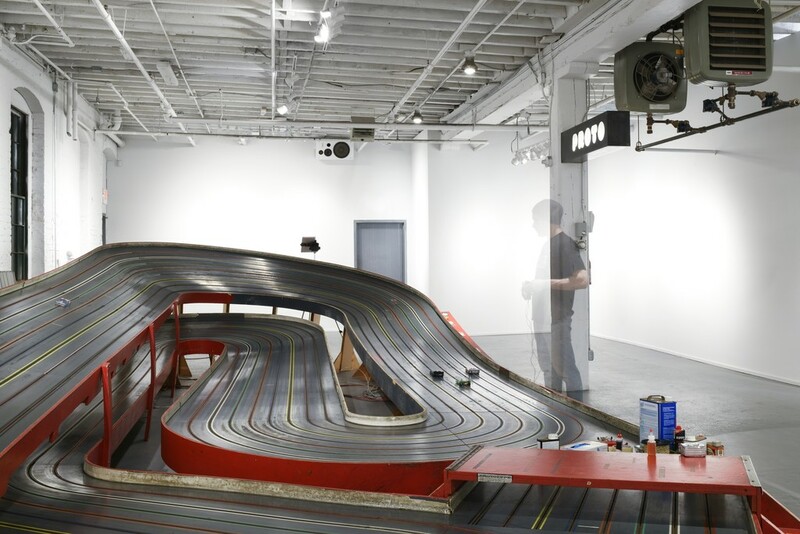 The Ogilvie slot car track installed in the exhibition space at PROTO Gallery for NO FLEX RACE U. Artist and owner of PROTO Gallery Nick De Pirro, running a 1/24 scale slot car on the Ogilvie Hurricane track. A detail of the driving area of the slot car track. 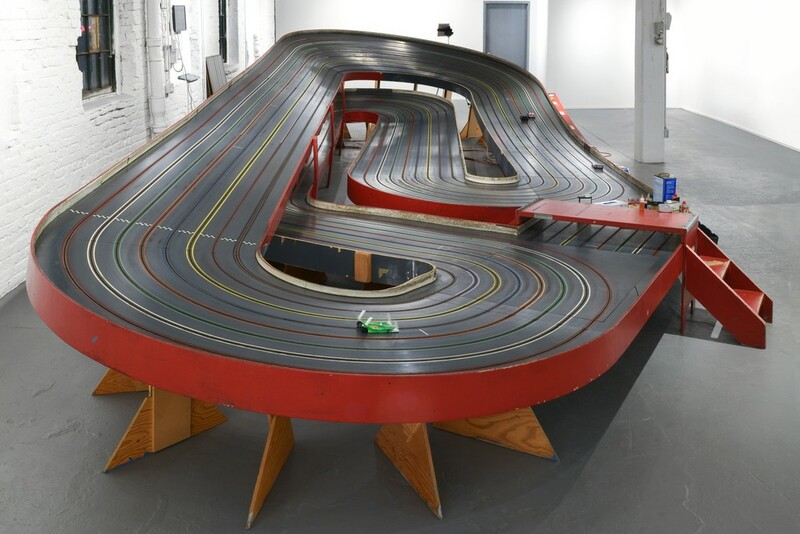 NO FLEX RACE U is an ad-hock participatory slot car race performance by artist Nick De Pirro to celebrate the conclusion of another year of PROTO Gallery programming. NO FLEX RACE U is an ad-hock participatory slot car race performance by artist and owner of PROTO Gallery Nick De Pirro. NO FLEX RACE U is the most recent work in a series of collaborative sculptural performances which De Pirro has created in the past with artist Ian White Williams. Typically, these works consist of an object or built environment which acts as an arena for a competitive action between the artists. Although this particular work is a solitary social-practice performance by De Pirro, it builds on the history of collaborations which very often utilized the hardware and idiom of model car racing, coupled with public interactions and storytelling. The gallery is dominated by an eight-lane commercial Ogilvie slot car track occupying four-hundred square feet of floor space. 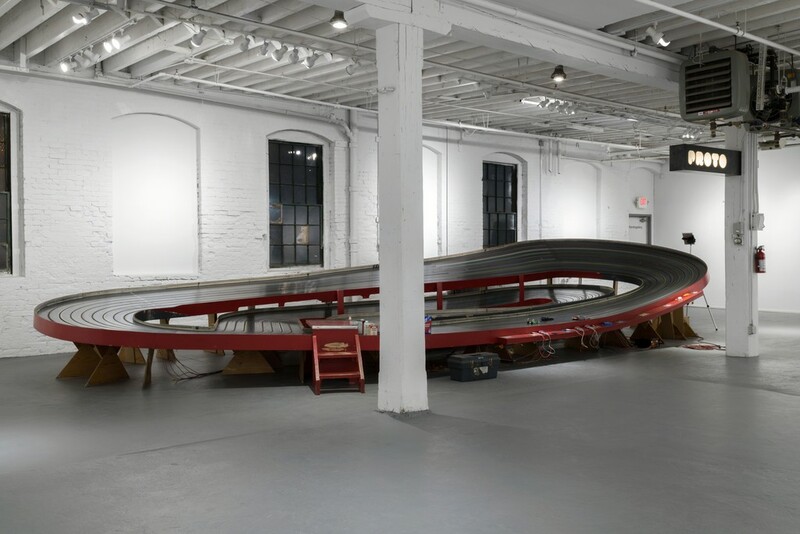 Purchased by the artist in New Jersey, this model race track is now the focal point of informal social interactions between the artist and visitors to the gallery.